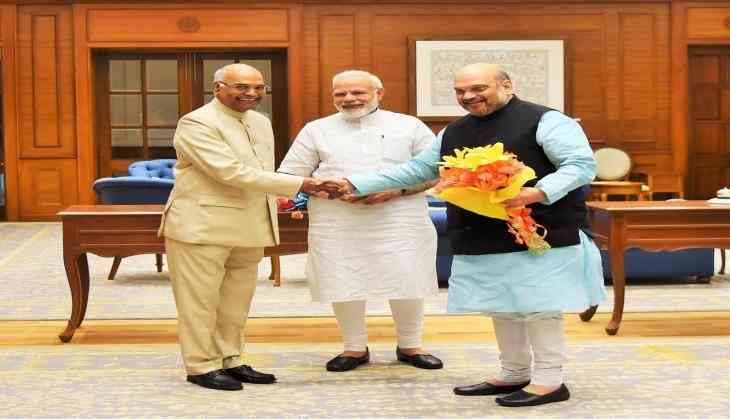 NDA's presidential candidate Ram Nath Kovind filed his nomination papers in Parliament house in Delhi in the presence of Prime Minister Narendra Modi and BJP chief ministers of some states on 23 June. Along with Prime Minister Modi, Union Urban Development Minister M. Venkaiah Naidu, BJP veteran leader L.K. Advani and Murli Manohar Joshi, BJP chief Amit Shah were present at Parliament. The ruling NDA government has nominated Bihar Governor Kovind for the position for the post of Indian President. The counting of the votes will be done on July 20.